Club Nintendo, the formerly exclusive loyalty program introduced in Japan, Europe, Australia and South Africa will finally make its way to Canada. "Gamers have longed for the expansion of Club Nintendo to North America for years, and now Nintendo is making it a reality for everyone. Club Nintendo rewards Nintendo loyalists who complete surveys and register Nintendo products with loyalty coins that can be redeemed for exclusive items available only to Club Nintendo members. 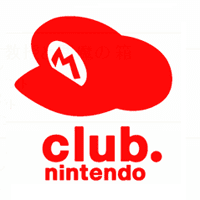 Club Nintendo is set to debut in North America this holiday season." This is excellent news for Canadian gamers as the loyalty program has given away some pretty awesome premium items including soundtrack albums, game controllers and even Club Nintendo exclusive games. To get a sneak peak of what might be in store for us, check out the European Club Nintendo website.